Uruguayan journalist, activist and author Eduardo Galeano passed away last year at age 74, is known through much of the world for his seminal book on the turbulent history of Latin America entitled Open Veins of Latin America: Five Centuries of the Pillage of a Continent, which details the effects of European and American exploitation across the Latin world. 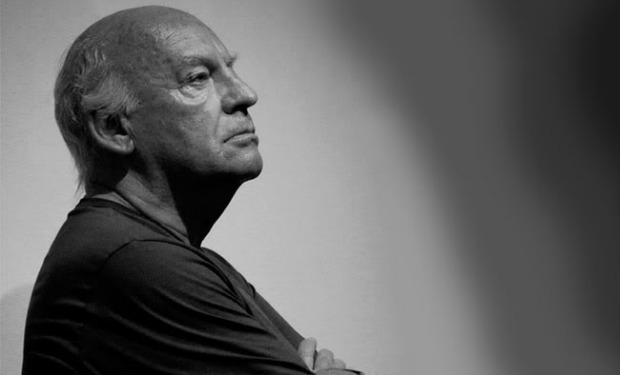 Besides his staunch leftist politics and subsequent problems with Uruguay's then-military government, Galeano had a deep love for the beautiful game and was later referred to by his contemporaries as "global soccer's pre-eminent man of letters". In 1995 he released the brilliant El fútbol a sol y sombra, or Soccer in Sun and Shadow, a cultural history of football which balanced his love of football with his difficulties in reconciling the ugly sides of it. Which is something that many of us struggle with, particularly when considering the corrupt state of FIFA and the scandalous conditions that the migrant workers are enduring while building the stadiums for Qatar 2022. 5. Nobody saw a wild wolf on the field. Disguised as an old woman, his fangs and claws hidden, he strolled along, making a show of showering innocent passes and other works of charity. Meanwhile he slipped unnoticed into the box. The net was bridal veil of an irresistible girl. In front of the open goal he licked his chops. And in one fell swoop he stood naked, then bit. — Galeano describing the famous German international Gerd Müller. 4. Violence is not in the genes of these people who love to celebrate and are wild about the joys of music and football. 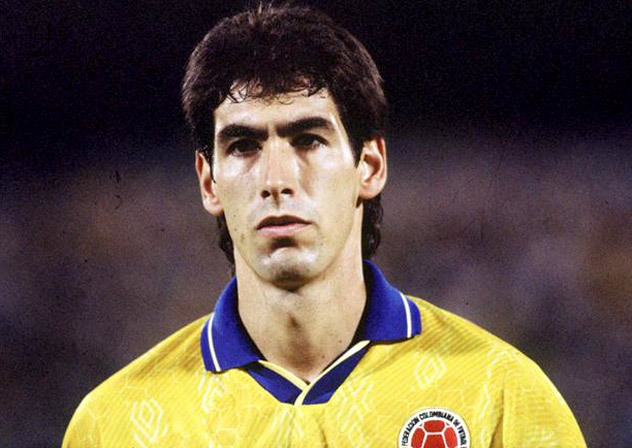 Colombians suffer from violence like a disease, but they don’t wear it like a birthmark on their foreheads. The machinery of power, on the other hand, is indeed a cause of violence: as in all of Latin America, injustice and humiliation poison people’s souls. — Galeano on the 1994 murder of Colombian defender Andrés Escobar. — Galeano on the 2002 World Cup. 2. 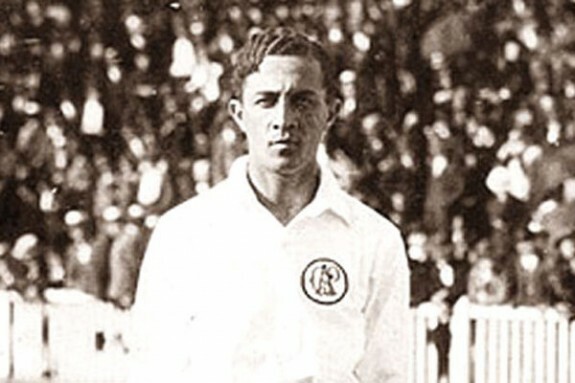 Arthur Friedenreich, son of a German immigrant and a black washerwoman, played in the first division for twenty-six years and never earned a cent. No one scored more goals than he in the history of football, not even that other great Brazilian artilleryman, Pelé, who remains professional football’s leading scorer. Freidenreich accumulated 1,329, Pelé 1,279. The green-eyed mulatto founded the Brazilian style of play. He, or the devil who got into him through the sole of his foot, broke all the rules in the English manuals: Friedenreich brought to the solemn stadium of the whites the irreverence of brown boys who entertained themselves fighting over a rag ball in the slums. Thus was born a style open to fantasy, one which prefers pleasure to results. From Friedenreich onward, there have been no right angles in Brazilian football, just as there are none in the mountains of Rio de Janeiro or the buildings of Oscar Niemeyer. — Galeano on Arthur Friedenreich and Brazilian football. 1. Years have gone by and I’ve finally learned to accept myself for who I am: a beggar for good football. I go about the world, hand outstretched, and in the stadiums I plead: ‘A pretty move, for the love of God.’ And when good football happens, I give thanks for the miracle and I don’t give a damn which team or country performs it. —Galeano on his love for good football.